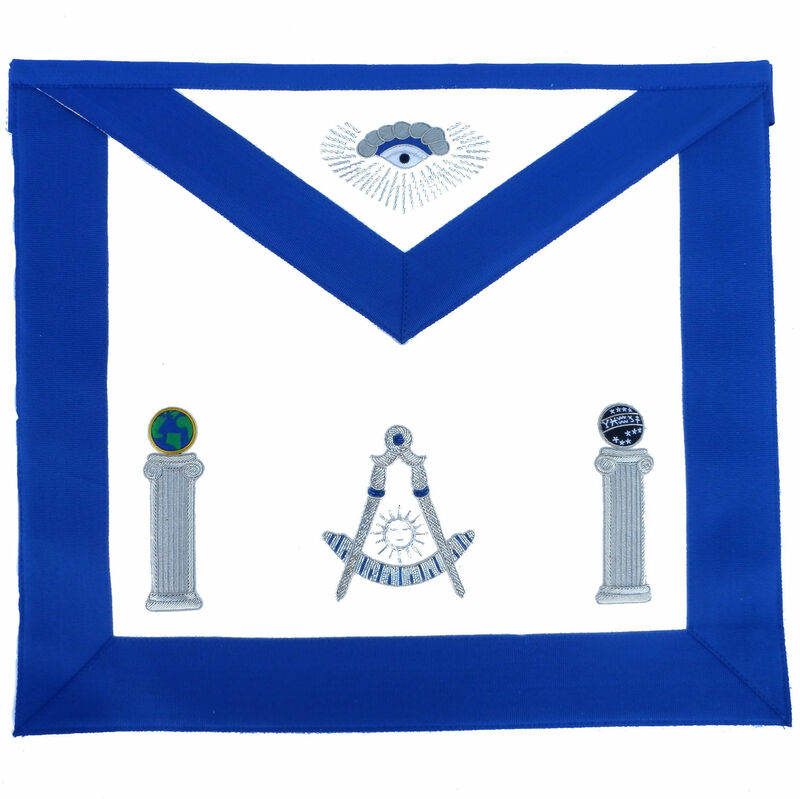 Past Master Apron, Los Angeles Fraternal Supply Company Inc. This Stunning Past Master Apron is Hand Embroidered in Silver Bullion using Old World techniques. The apron is trimmed in Royal Blue Grosgrain ribbon. The apron has an adjustable web belt with a " S " hook closure, perfect for a waistline of up to 50 inches. The apron measures approximately 13" x 15" and has a blue lining and pocket on back. The Past Master emblem on this apron is the Compass & Quadrant with Radiant Sundrant in the center. The Celestial and Terrestrial globes frame the Past Master emblem. The All Seeing Eye is embroidered in both thread and Silver Bullion.